Gary has a wide range of experience working in family businesses to International companies. He has run and supported SME’s, involving technology, manufacture, service, hospitality, logistics and farming. 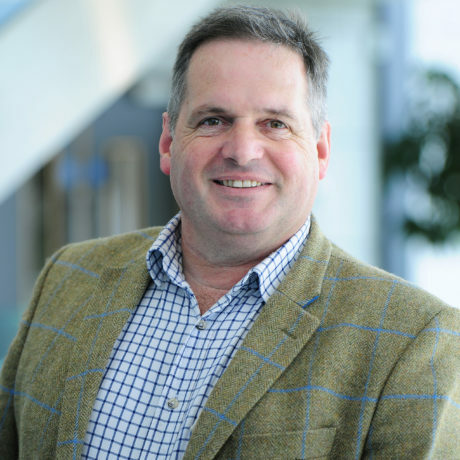 Gary is a big advocate of Cornish businesses and he believes that we need to grow and sustain SME’s so that they can truly transform the economy of the County. Business Resilience, Innovation, Co-Creative working and Change is a passion for Zamu and the clients Zamu support. Outside of his business interests Gary has a wife Samantha and two grandsons at home, Joseph and James, who call him Rumps! A small collection of tractors and classic vehicles (Samantha isn’t sure about the small!) along with an interest in aviation. Founder and Trustee of Charity – Rosalie. Rosalie is a 1953 Avro Shackleton with the charitable aims of preservation and history of the aircraft and an education programme of bringing STEM to life. Business Adviser at Enterprise Foundation South West September 2014 – 2015. Newbie at St Mawgan Eccentric Gentleman's Association 2017 – Present. Odd job men and local community fundraisers. We raise money for Cornish charities and make grants to worthy causes or individuals in need of assistance whether it is labour or money. Gary has experience at many levels of business. He is skilled at problem solving and works with SME businesses to understand their weaknesses in processes and find suitable and practical ways of changing and evolving. In the past he has used this to implement changes in software and entire business procedures as well as ensuring compliance with industry standards. He has also used his practical project management skills to oversee business moves. His prior clients include MOD, Arts Council, Hotel Du Vin & Soho House group. He is also an accomplished business networker winning Cornwall Chamber of Commerce “Member of The Year 2016”. He has developed a network of contacts that he understands the businesses, their skills and needs then he helps contacts to work co-operatively to the benefit of both businesses.